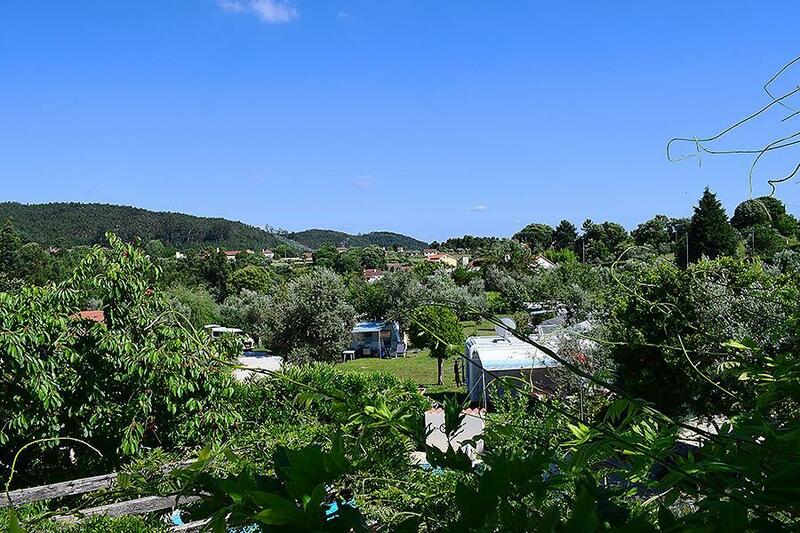 Campsite Quinta da Cerejeira is a campsite with 30 touring pitches. During low season, between 15-03-2019 - 01-06-2019, 01-07-2019 - 15-07-2019 and 01-09-2019 - 01-10-2019, the nightly rate is €18,- at one of the 30 touring pitches at Campsite Quinta da Cerejeira in Ferreira do Zêzere (Santarém). At this campsite you can not only use your CampingCard ACSI for inexpensive camping, you can also use your ACSI Club ID (as an alternative ID). A beautifully located campsite in a lovely garden and orchard. A campsite with good accommodation. Refurbished sanitary facilities. Friendly Dutch owners. Arrived for couple of nights and stayed for a week. This is a very well run site, very peaceful and quiet. Set in various fruit trees. Very nice pool, with various seating arrangements. Fresh bread delivered every day. Wij hebben zeker genoten van ons verblijf op Quinta da Cerejeira! Deze camping was precies wat wij zochten in hartje Portugal: rust, prachtige natuur, genoeg privacy maar erg vriendelijke en gastvrije eigenaars die altijd klaar stonden om onze vragen te beantwoorden. Je kunt zien dat de eigenaren de camping met veel liefde onderhouden. De camping zelf is prachtig gelegen tussen de heuvels en de bossen, maar winkels en supermarkt zijn op loopafstand. Ook het stuwmeer Zêzere is dichtbij en absoluut de moeite waard. Verder zijn Tomar en Coimbra aanraders, en met de auto zeer makkelijk te bereiken. Een ideaal plekje om het binnenland van Portugal te ontdekken. Would you like to book Campsite Quinta da Cerejeira or request more information? You can do both using the information below. From the IC3 Tomar-Coimbra drive towards Ferreira do Zêzane N238, then towards Vila de Rei. Just past Ferreira do Zêzere take first left at campsite sign, then follow the signs to the campsite. CampingCard ACSI will send your information request to "Campsite Quinta da Cerejeira".